The group confirmed its coming at the next Tuska Open Air to be held in Helsinki, Finland from 22 to 24 July 2011. As usual, find all the details of the festival on the tours page of our site! Blind Guardian will participate in the first film festival dedicated to heavy metal to be held from March 31 to April 3 in Los Angeles! 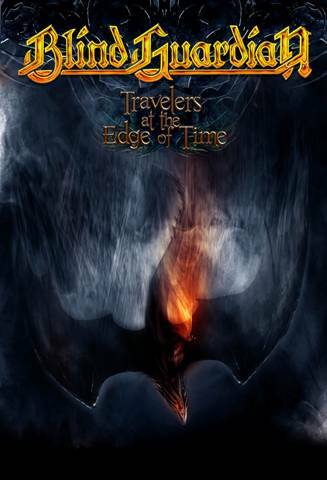 Directed by Andreas Fieker, "Travelers At The Edge Of Time" is a film that talks about the group's evolution and how At The Edge Of Time took them to the "2010's Billboard Top 200-charting". Another year, another message. Here, as promised a little while ago, the ultimate report about what we were dealing with the past few months and what to expect for the upcoming year. I assume everyone reading these lines has had a chance to discover At The Edge Of Time and hopefully still enjoys it as much as we do. The very positive feedback we have gotten worldwide is of course a strong motivation for us. As said at other places before, we consider this album as the perfect connection between new and old. It contains a little bit of everything but still has a strong musical thread running throughout and offers us many options for our next projects. It is no surprise when I tell you that the next journey will certainly lead us into an even more classical direction. There will be a few more trips to Prague necessary to finalize all orchestral recordings for our classical project but all things must come to an end eventually. The result of the stuff we have already recorded keeps me in a very good and optimistic mood, even though I consider the wait until the project's completion very painful. Charlie [Bauerfeind] and I nonetheless will start working on the first vocal recordings during the next days. Since we will be interrupted by quite a lot of upcoming shows I would be happy if I were to find myself in a position to finish the first five songs vocalwise before the year is over. It is challenging stuff for everyone. One fine day, all of a sudden, when no one expects it, I will announce its completion. Certainly not within the next twelve months, but one very, very fine day. From one long-term project to another. As we had time to share some serious moments with each other during the 70000 Tons Of Metal cruise (somewhere on the oceans of time) Jon [Schaffer; Iced Earth & Sons Of Liberty] and I had finally found the chance to put our minds together for a possible next Demons & Wizards album. We cheerfully simultaneously announced our wish to start working on it as quickly as possible. Although time is an issue for both of us we nonetheless decided to start songwriting together during the European summer festival season when Jon will be in Europe for Iced Earth performances. During that season we will use every possible moment to complete as much material as possible. To guarantee a good-mood-songwriting feeling I have already saved some good bottles of red wine and a smaller amount of Johnny Walker black label in our studio. Things are still in the mist but we are about to recognize structures of a busy future. As for the people who have bought the limited edition and may have started wondering about the promised additional stuff on the connected media page I can, one more time, promise that your waiting will soon be over and all your doubts about the value of having such questionable access will be erased. We have several things we are about to accomplish during the next days. Once finished we will make an official announcement telling you when the material will be available for download. Apart from having worked on some remixes of the new stuff we obviously were able to catch a lot of impressions from our time on the road during the last months. Touring in all these European and Northern American venues was a definite blast and we cannot wait to hit the next countries and cities fairly soon. As we recorded most of the shows we have played so far, I can tell you that there have been a number of outstanding magic moments. I mostly was impressed by the great response the new stuff has gotten. Even when we toured in the early nineties it usually took one round to establish new material. But that is not the case with any of the new ones we played. They immediately got very significant responses each night. Another approval for their quality, I dare to say. Of course, we will try to come up with more new songs for the shows we are going to play during the next months. Since we have some time to waste until then we have decided to work on even more songs to be performed for these shows. I will keep it a secret which songs we are working on ... though it won't be many, I have to confess. Yes, I know how to spoil a story. It's one of my best qualities - apart from looking cool while sitting on a chair. Some news of the orchestral project! 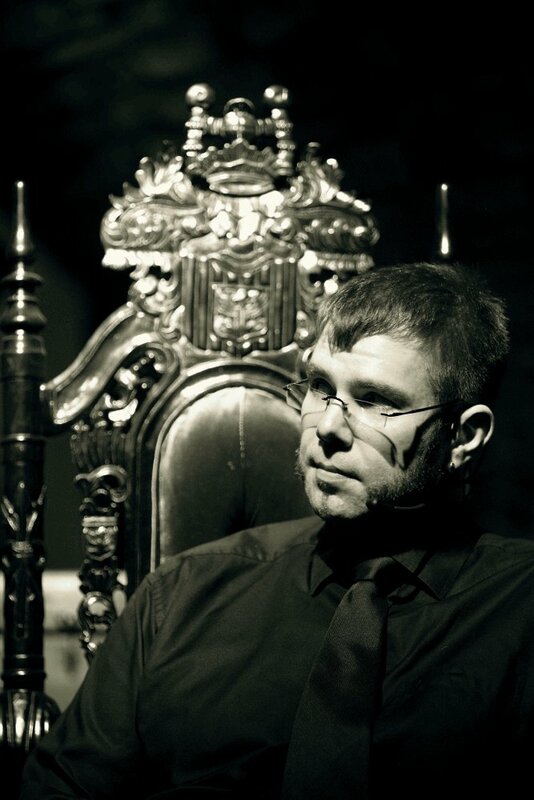 Yesterday it was possible to chat live with Hansi on Metalcamp's website (Slovenian festival at which the group will participate this summer). Many questions were asked, some more relevant than others but it's mainly the few on orchestral project that attracted attention. 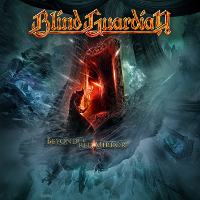 It should be the next production of the group before another album and a priori it will be released under the name Blind Guardian. Hansi think this album reach the same level of importance among the fans that Nightfall In Middle-Earth or Imaginations From The Other Side. Surprisingly enough, no song is based on the stories of Tolkien! And if you wish, you can read the full session, as it was that evening: Chat with Hansi (This is the raw version without any formatting or correction). 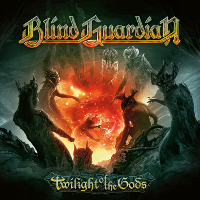 As Marcus already mentioned on his blog, three of the four guys from Blind Guardian will be signing autographs on Saturday, April 9th at the Frankfurt Musikmesse. Marcus, André and Frederik will be at the Meinl Distribution booth from 11:30 to noon and Marcus will be signing alone at the Gibson booth from 14:00 to 14:30. 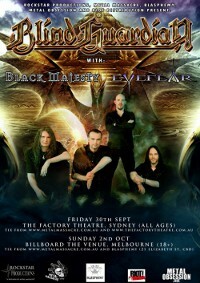 Blind Guardian has confirmed two new summer festivals that rise up to five the number of them. This is the Tollwood Festival to be held in Munich (Germany) on June 24th and the Norway Rock Festival to be held in Kvinedsdal (Norway) on July 7th. Get all the details on the tour page of the site. And also all the details of the various festivals: Summer Festivals. 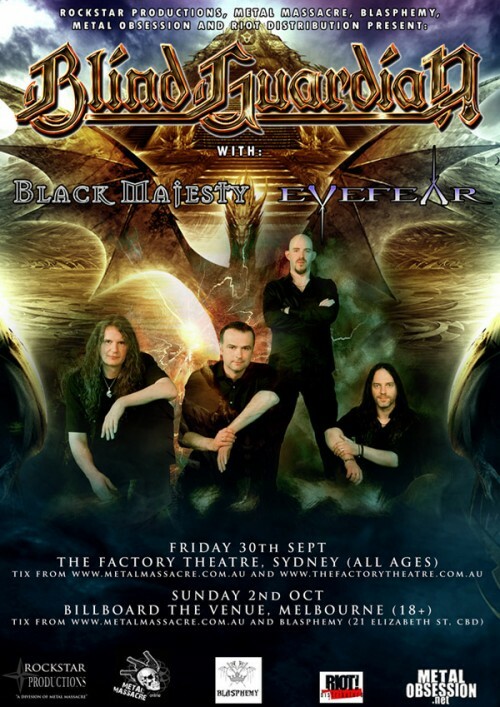 Two dates have just been confirmed for the Australian tour this fall! It will be the second time the band plays on the continent (the first being in 2007). As every shows, full details are available on the tours page of the site. Little perk, a new bootleg of the tour 2011 was added to the bootleg section of the site. Find it on this page.